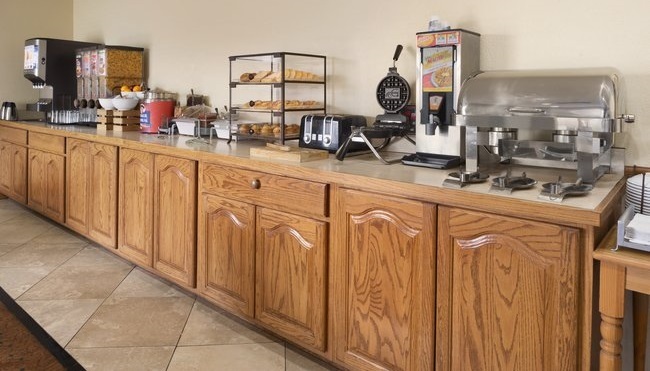 Spend a few extra minutes every morning enjoying the complimentary breakfast at the Country Inn & Suites hotel in Topeka. Head to the breakfast room for a wide variety of hot and cold favorites like Belgian waffles, eggs, cereals and fruit. Pour yourself a fresh cup of coffee so you stay energized until lunch, when you can pick from more than two dozen nearby restaurants, like Terry’s Bar & Grill and Tequilas Mexican Restaurant & Bar.